‘Question: Who would you not like to see act as chief arbiter and members of the appeals jury in your forthcoming World Championship match? Kasparov: I don’t have any personal enemies, but I do not approve of people who compromise themselves. Since childhood I have always been hostile to any kind of Fascism. I would therefore like to have persons above reproach, without criminal ties with FIDE’s Fascist method of operating. This kind of Fascism is unacceptable. A human being is born with his own brain and heart, and he has to be entitled to freedom of expression, in the democratic way. Human rights have to be respected. Question: Aren’t you afraid that the “forces” which you often criticize may be used against you in one way or another? Instead of pressing Kasparov to explain words like ‘criminal’, ‘corruption’ and ‘Fascist’, journalists nod and publish. It makes good copy. If Kasparov were asked to identify the members of the oft-mentioned ‘international mafia’, it would spoil all the fun. A subsidiary point here: how strange that Kasparov, whose book evinces a loathing for everything Campomanes says and does, still has to resort to artificial anger-inspiring stimulants such as an old VCR. A bonus when he feels ‘the need to get fired up’ is the availability of a freeze-frame function on his video recorder: ‘Every time I freeze Campo’s face on the screen at that moment, his expression that of a hunted ferret, ...’ (page 3). After such disclosures it will be no surprise if Reuben Fine rushes out a new edition of The Psychology of the Chess Player. Kasparov’s technique is to attack so hard that defence will not be necessary. Whether through foolishness or naivety, he seems unaware that his harangues about the need for truth and sincerity in the chess world will cut little ice so long as he attacks unscrupulously and undiscerningly (the old ‘Campomanes’ gold mine in South Africa’ accusation, now refuted, has been quietly buried without an apology) and as long as he continues his political and literary associations with individuals (one individual in particular) whose untruths can be, and have been, repeatedly proved as a matter of public record. His treatment of the Termination episode contains little in the way of facts (‘The full story may never be known, because there were many conversations in which I never took part – from which, in fact, I was carefully excluded – and which the participants will doubtless want to keep secret ... I set out my own theories below.’ – page 127). And that is what they are: theories or slanted conjecture. His views on Karpov’s state of health towards the end of the match are peculiar and self-contradictory. On page 124 he rejects the claim that Karpov was sick, emphasizing the quality of game 48, and on page 143 he writes: ‘The people around him [Karpov] attributed my late victories to the fact that he was so exhausted, but Karpov knew better. 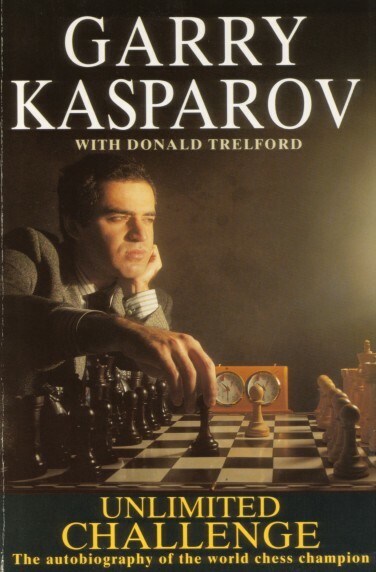 He knew it was my chess that was beating him.’ But on page 125 Kasparov states that his opponent ‘had exhausted his strength’, and on page 130 says that ‘Karpov was in no state to go on without the serious risk of defeat’. One can appreciate Kasparov’s quandary; going too far down the ‘Karpov ill’ road would devalue his own achievement of winning games 47 and 48. Despite that, Kasparov confirms that he himself was the one to call a time-out on 11 February ‘because I needed it ... after all the excitement, I needed time to draw breath’ (pages 131-132), although it is hard to understand why if he really thought his opponent was ‘in no state to go on’. Kasparov confirms his earlier declarations that ‘I would have been ready for an end to the match right at the start of the negotiations – if they had accepted me as an equal partner and had offered me acceptable terms’ (page 128), but later approvingly quotes Raymond Keene’s statement that ‘no decision was necessary, since the match was proceeding according to regulations and these should have been allowed to run their course’ (page 155). On page 133, he writes: ‘I assumed the original FIDE proposal – to stop now and start afresh in September – was what we were talking about. In a way this wasn’t so bad for me. I was sure I would win the second match. I had become much wiser than at the beginning of this one. And to start playing again at nil-nil was better than five-three against.’ Isn’t that what happened? The crucial discrepancy or misunderstanding is again shown to have occurred in the early-February meeting between Kasparov and Kinzel, who have given divergent accounts of the circumstances in which Kasparov stated he would accept immediate termination of the match. Borrowing Timman’s comment (without acknowledgement), Kasparov writes (page 129): ‘Because I offer a draw at five-two it doesn’t mean that Karpov can accept it later when the score becomes five-three.’ One could retort that Karpov didn’t ‘accept it’, but the central point here is that a willingness at five-two to entertain the possibility of termination can hardly be transferred into outright rejection of the principle just because one further game has gone in his favour. Kasparov says that his statement to Kinzel was ‘a tactical mistake’ (page 128) and reveals (page 130) his ‘entirely reasonable’ counter-proposals to Kinzel for stopping the match: ‘Karpov should renounce his world title, and he should declare that he was at the end of his physical resources.’ Campomanes has been much criticized for judging health questions without consulting a doctor. Whom did Kasparov consult? It is now established that when Kinzel wanted to telephone Campomanes in Dubai he used Gligorić as an interpreter since he had no common language with the FIDE President. At first, it will be recalled, the Keene/Goodman/Batsford movement falsely claimed that Karpov, or Karpov’s camp, had made the call. Although Kasparov (page 131) accepts that it was Gligorić who telephoned, he remarks that an arbiter should not have ‘initiated moves’ of this kind. For that argument to have any weight it is necessary to conceal the fact that Gligorić acted as an interpreter. Kasparov conceals it. On Termination Day, however, few knew that all these discussions had been going on for over two weeks. In particular, hardly anyone was aware of the Kinzel-Kasparov negotiations. This promoted the widespread impression that Campomanes’ decision was ‘arbitrary’, and the FIDE President did little to help quell suspicions. Neither the question of whether Campomanes was right or wrong to stop the match (our own agnosticism has never been firmer) nor the repeated falsehoods written by his opponents in their press monopoly outlets can alter the fact that Termination Day in Moscow was a shambles for which Campomanes must take full blame. The question here is why it does not show Kasparov red with rage. Only later, when Karpov joined Campomanes on the platform, did Kasparov show anger, claiming that the occasion was being stage-managed. 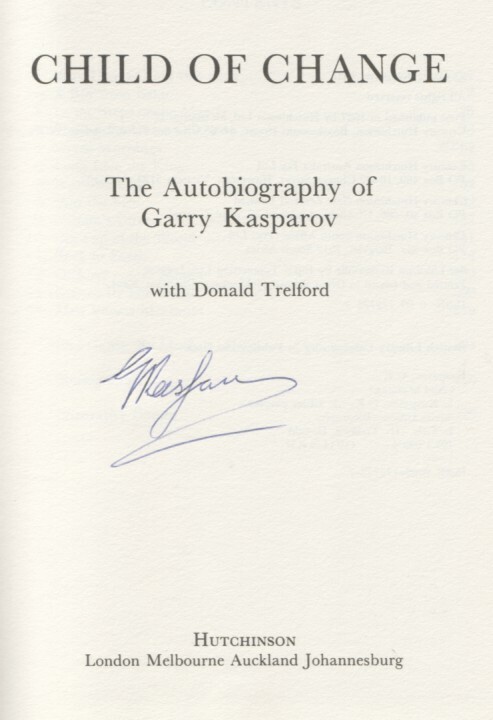 At the subsequent private meeting, Kasparov reports (page 142), ‘Karpov didn’t want to sign’ a document agreeing to stop the match, but was persuaded to do so by Sevastyanov (or Sevestyanov, as the book spells his name). Back in front of the cameras, Campomanes announced that Karpov ‘accepted’ the termination decision (while Kasparov ‘abided’ by it). Kasparov quotes this on page 143, yet by page 147 and page 148 there is a distortion even less subtle than most of the others in this sorry book: he misquotes Campomanes as having said on that occasion that ‘Karpov supports the decision’. Thus Kasparov replaces ‘accepts’ (a word whose connotations are neutral or, even, imply reluctance) by ‘supports’ (a word which indicates positive agreement, and therefore more useful for Kasparov’s side of the story). ‘But remember: Karpov supported it [the decision]’, he emphasizes on page 149, compounding the error. Kasparov’s account does not dispute – but nor does it acknowledge – that Campomanes rejected the USSR Chess Federation’s request (dated 13 February) for a suspension of the match, and also dismissed the ridiculous termination conditions apparently suggested at one stage by Karpov (pages 128-129). Yet Kasparov still says (page 149) that ‘the match was ended artificially totally in accordance with Karpov’s wishes’. 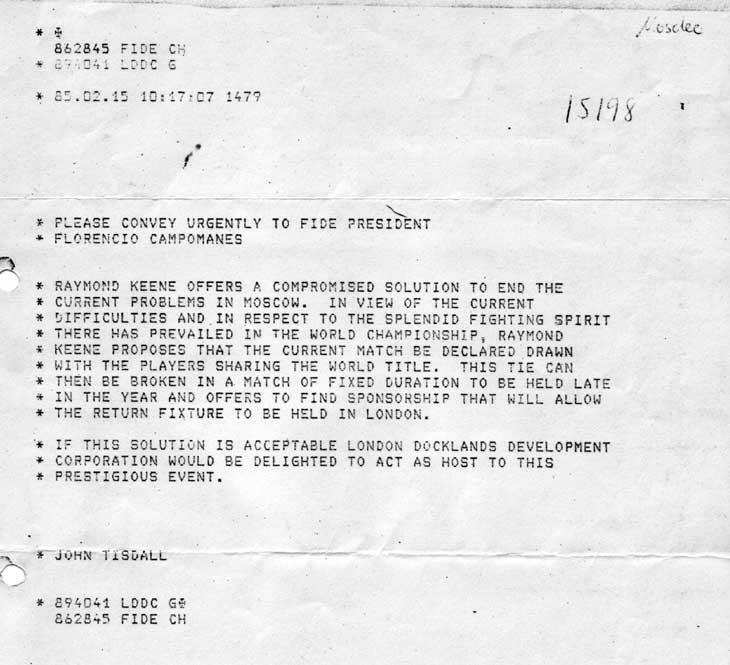 Source: photocopy of Karpov’s letter, which appeared as Annex 10 (4) to the FIDE Circular Letter of 11 March 1985. Conclusion: Kasparov has taken the phrase out of context and altered the wording according to his own exigencies. Other points, briefly. The autobiography wastes considerable space on general historical snippets which will be familiar to almost everybody. Even Pillsbury’s list of memorized words is re-served (page 82), as is the untrue statement (page 108) that Capablanca fell asleep during the 1927 match with Alekhine. A rare spelling, or proof-reading, error: the author of The Queen’s Gambit was Walter Tevis, not Trevis (page 50), while on page 124 the title of Karpov’s Learn from Your Defeats book is given incorrectly. The absence of an index is a serious omission. Some of the early chapters of Child of Change are interesting, and there is a rich selection of old photographs from the family album. No doubt a paperback edition will appear in due course, but if Kasparov really wishes to continue beating the glasnost/truth drum, this book will need to be rewritten from cover to cover. The new book to which Kasparov was referring in his interview was Bezlimitny Poyedinok (Moscow, 1989). 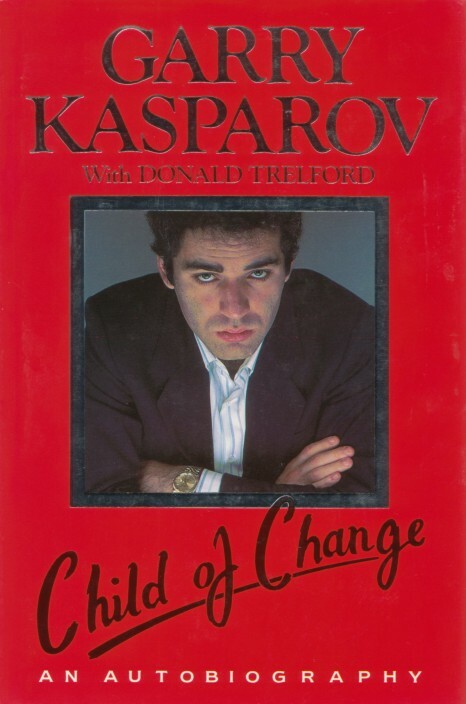 In late 1990 Unlimited Challenge (‘The autobiography of Garry Kasparov with Donald Trelford’) was published by Fontana/Collins and described as a ‘revised and updated edition’ of Child of Change. In the introduction (page 5) Kasparov wrote, ‘What is the use in simply calling someone a coward, spy, mafioso or bribe-taker? Far more important for the reader are the documents, the facts, logic and a clear-cut argument.’ The book fell way short of these laudable sentiments. In October 1987 Pergamon Press published London-Leningrad Championship Games by G. Kasparov, translated by Kenneth P. Neat. The 24 games (especially the sixteenth) have impressively deep notes; which other world champions have ever offered the public such a detailed explanation of their play? It is particularly instructive to read Kasparov’s (mainly negative) views on other commentators’ annotations. Our admiration for Kasparov’s chess skill is immeasurable, but the rest fills us with revulsion. On page 198 of Deep Thinking, written with Mig Greengard (New York, 2017), Kasparov referred to the matter in more measured terms. A few extracts from Tim Krabbé’s review of Child of Change (on pages 60-62 of the 8/1987 New in Chess) were given in C.N. 8761. See too Reflections on Garry Kasparov. Latest update: 3 May 2017.